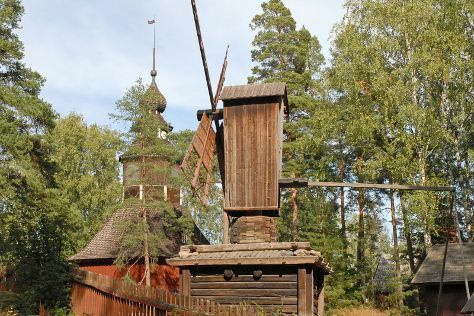 Explore hidden gems such as Seurasaari Island and Open-Air Museum and Sibelius Monument. Explore Helsinki's surroundings by going to Kotka (Riverside Park, Sapokka Water Garden, & more), Raseborg (Ekenas Archipelago National Park & Hagen - Ramsholmen - Hogholmen) and Porvoo (Porvoo Old Town & Cathedral of Porvoo). Pack the 11th (Tue) with family-friendly diversions at Linnanmaki Amusement Park. And it doesn't end there: test your problem-solving skills at popular escape rooms, take an in-depth tour of National Museum of Finland, explore the world behind art at Kansallisgalleria, and shop like a local with Hakaniemi Market. To find where to stay, reviews, traveler tips, and other tourist information, use the Helsinki trip itinerary planner . If you are flying in from United States, the closest major airport is Helsinki Vantaa Airport. In June in Helsinki, expect temperatures between 65°F during the day and 50°F at night. Wrap up your sightseeing on the 20th (Thu) early enough to travel back home.